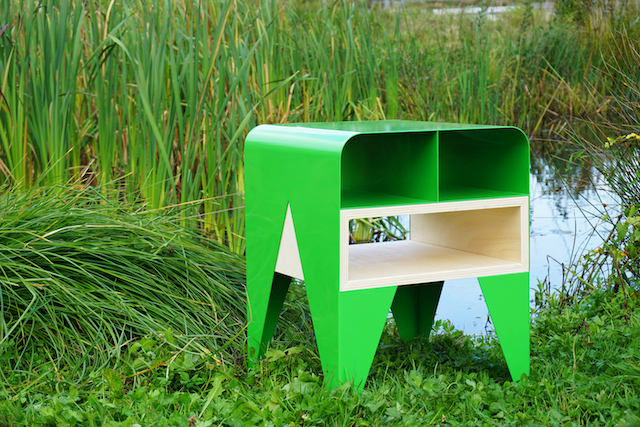 “Frog” is a little side table imagined by Nab Design. Made with thermo-lacquered sheet metal in steel and poplar’s wood panels, the idea was to create a visually strong table inspired by frogs that the designer hunted during his childhood. Different storage zones were thought, preserving the simple and modern lines in order to highlight the stocked objects.